I found this recipe on My Whole Food Life and was super excited because it calls for cashew butter. 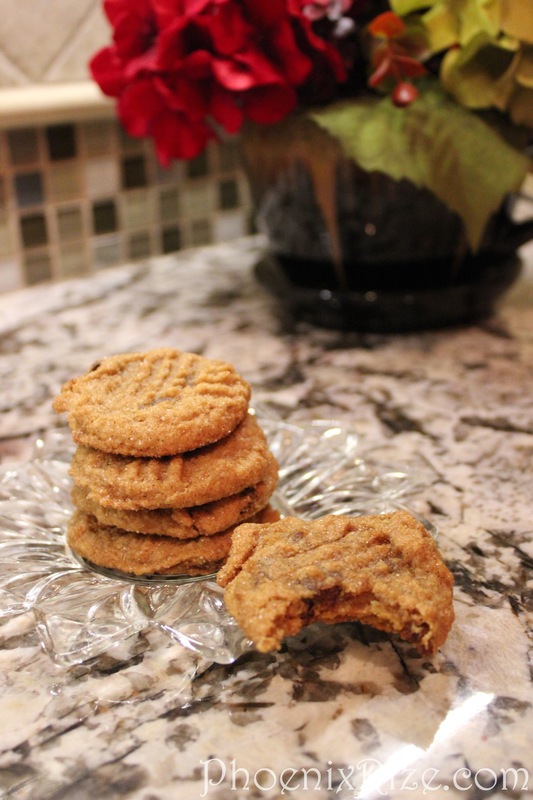 So many of the Gluten Free cookie recipes that I’ve come across call for peanut butter. I adore peanut butter, but Brian doesn’t like it…. so I was pretty excited to see what Brian thought about cashew butter. Another exciting twist to this recipe? Dates! I’ve already learned to use dates to make a pie crust (which is freaking awesome!) and brownies (double freaking awesome) but dates to make a caramel sauce? Eeep! The first batch of cookies turned out… ummm…. okay. Brian said that I’d under-baked them, but they were already starting to burn around the edges…. I think they were just destined to be gooey since they don’t spread. I took some to Mom and she made ‘that face.’ You know the one where your mom is trying to be nice and supportive, but she hates whatever it is? Yeah, that one. She loved the Peanut Butter Chocolate Chip cookies and I think she was expecting something similar….. sad mommy. I didn’t want to give up on them. They had potential, but they just weren’t there yet. First of all, the texture was just wrong. I figured I could fix that by rolling them in sugar and cinnamon. Yeah, yeah….the original baker wanted to make a sugar-free, gluten-free, egg-free, dairy-free cookie….and that’s good…. but if no one will eat them……The Gluten/Egg/Dairy work-arounds were pretty cool….I wanted to keep those…. it just needed sugar. 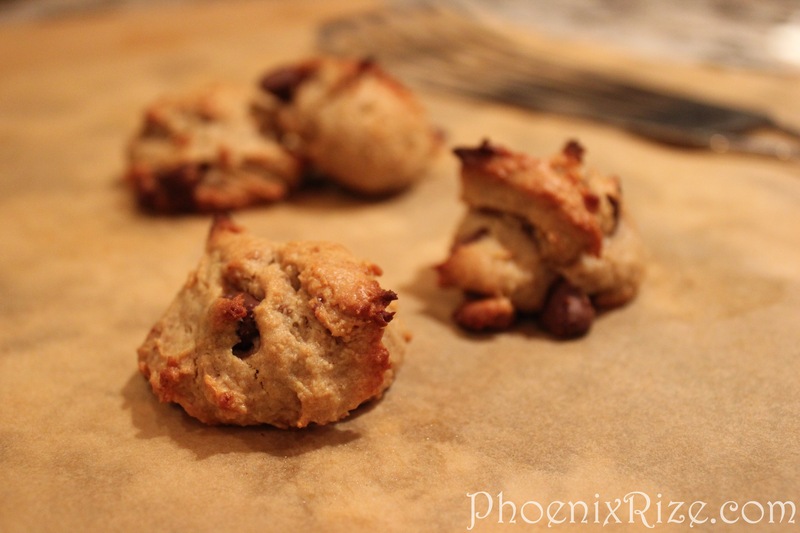 So I rolled em in sugar… and then added some sugar and cinnamon to the cashew butter. Not a ton, but just enough to bring some “cookie” flavor back. The second problem was that they didn’t spread at all and the middles stayed gooey (or the outside burned). No problem there… I’d just squish em. I used a fork to make crosshatch marks and squished them down a bit. I also added more chocolate chips…. ’cause…. well… I mean, chocolate chips! More is almost always better! True, they’re not sugar-free anymore…. I don’t care…. They’re a cookie. Slice the dates and place them in a bowl of water. Allow to soak for 30 minutes. Drain the dates. In a mini food processor or blender combine the dates, sea salt and 2 tablespoons of water. Process until the mixture begins to resemble caramel. In a food processor, mix the cashew butter, brown sugar, cinnamon vanilla and baking powder together. Add the date-caramel to the cashew butter mixture and pulse a few times. Finally, add the chocolate chips and pulse a few more times., careful not to chop up all your chips.